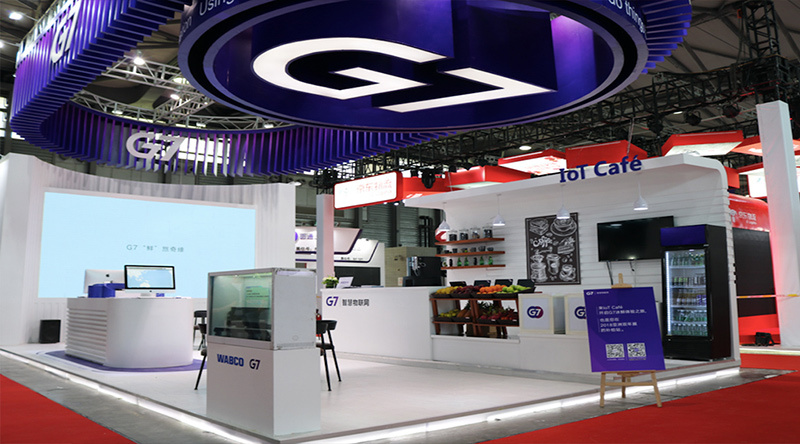 G7, a Beijing-based internet of things company specializing in fleet management, is looking to harness the latest technologies, as it aims to meet the increasing demand in the traditional logistics market. "Technology is having a profound impact on the industry," said Zhai Xuehun, founder and chief executive officer of G7. "Based on the IoT, big data and artificial intelligence, the smart fleet model is fundamentally changing the way fleets operate and is forming a new generation of logistics infrastructure, with much improved efficiency. Through the use of innovative technologies, G7 is looking forward to accelerating the industry transformation." Julian Ma, president of G7 and former vice-president of Chinese internet titan Tencent Holdings Ltd, said with the blossoming sensors, the IoT, AI and other technologies, new opportunities are popping up in the traditional logistics industry. "Around 7 million trucks are responsible for the intercity transportation of goods in China, and each probably spend around 800,000 yuan ($116,000) to 10 million yuan per year on gas, road tolls and others," Ma noted. "Such a huge market will be worth more than 1 trillion yuan. An integrated fleet management platform will help improve efficiency and reduce costs." Recently, G7 announced it has raised $320 million in its latest round of financing in October, led by Hopu Investment Management. Other backers included China Broadband Capital, Intelligent Fund of Funds, Mount Morning Capital, Total Energy Ventures and TH Capital. G7's existing shareholders also supported the new round, including logistics firm GLP, Bank of China Investment and Tencent Holdings Ltd. The money will be used for research and development, as the company seeks to build a smart logistics assets service platform. G7 said the new fund is the biggest round of financing among global IoT startups to date. With the latest injection, G7, which serves more than 60,000 customers and over 800,000 commercial vehicles, has raised around $500 million. The company claimed it is the world's largest integrated fleet management and service platform, providing services covering safety, energy, payments, financing and intelligent equipment. In earlier days, G7 mainly collected vehicle data from sensors, cameras and other equipment installed on the truck. Now, it has expanded its business and aims to offer more smart products to better cater to the market. "AI in the IoT is reinventing transportation and logistics equipment," said Ma. "Intelligent equipment and asset-as-a-service are the next big waves. We are determined to proactively invest in intelligent equipment and infrastructure so that we will continue to lead the change." In April this year, G7 announced a joint venture with logistics firm GLP and Nio Capital to develop smart trucks. Owning two R&D and product centers in Shanghai and Silicon Valley in the United States, the joint venture will focus on developing the next generation of smart heavy-duty trucks powered by autonomous driving, new energy technologies and logistics big data. According to Ma, the company will mass produce autonomous heavy trucks in two-and-a-half years. According to a previous report by G7 and global consulting firm Bain and Co, China's road freight amounted to 6.1 trillion ton-kilometers in 2017, carried by more than 5 million heavy trucks and over 14 million light and medium trucks. Worth over 5 trillion yuan a year, China is the world's biggest road transportation market.